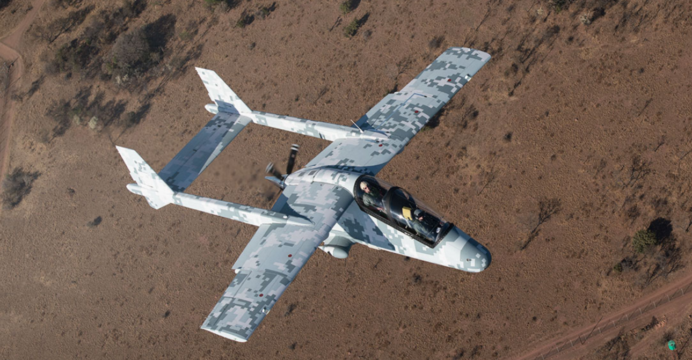 In recent years, the combat aircraft market has seen the introduction of lightweight turboprop powered attack aircraft, such as the A-29 Super Tucano and AT-802U/Archangel. With their low operational costs and relatively heavy payload, these platforms (which we refer to as “light attackers”) are being marketed as suitable counterinsurgency (COIN) and close air support (CAS) platforms. In fact, the industry drivers of these platforms are even trying to convince air forces with limited budgets and/or scarce air warfare threats to embrace these aircraft. The emergence of these platforms is thought to have given lightweight multi-role fighter jets – such as the JF-17 – a run for its money, as it too is trying to carve space for itself in the low-end of the fighter market. Regarding the “part one” in the title. We are not doing a series because we have a considerable amount of content and need to break up the article. Rather, this is a topic we will return to repeatedly, especially as we learn more about the effectiveness of these platforms in combat. Furthermore, we will look at this topic from different angles and through different cases. The result will vary between cases; what works for Pakistan may not work for Nigeria. This week will begin with a general introduction and will conclude with a look at Pakistan. Generally speaking, for most dedicated attack platforms, it is essential that the anti-air warfare (AAW) capabilities of one’s foes are basically non-existent. A concrete AAW threat, even at low-altitude, is a very serious problem. Even Saudi Arabia, which operates genuinely capable platforms in the form of the AH-64D Longbow attack helicopters, lost a number of these high-value assets over Yemen. Depending on the nature of the AAW threat, a measure of lead work to neutralize the AAW threat is required. For example, an armoured formation looking to engage an enemy armoured formation with CAS support would need to mitigate the enemy short-range air defence (SHORAD) threat, and it could potentially do so using a mix of electronic warfare (EW), signals intelligence (SIGINT), and stand-off attack methods. In the context of fights between states, the suppression of enemy air defence (SEAD) and destruction of enemy air defence (DEAD) process is complex and ridden with risk. Against non-state actors with infrared-homing man-portable air defence systems (MANPADS) at their disposal, one may be pushed to engage in high-altitude and/or stand-off range strikes. Granted, modern countermeasure methods (via flares and directional infrared countermeasures) could potentially help mitigate the MANPADS threat, until such a time MANPADS themselves advance using new electronic counter-countermeasure (ECCM) protection. Air superiority is a luxury. Inherently, it is difficult to attain, and even when it is attained, it can easily be obstructed, especially when the hand of another state is involved, directly or indirectly. Many of today’s COIN efforts function under the umbrella of uncontested air superiority, or at worst, against marginal AAW threats (e.g. in Syria). In contrast to the proliferation of small arms such as assault rifles and mortars, it seems like the supply line for MANPADS has been reigned in to a significant degree. We have not seen much of a MANPADS threat in Syria, and nothing of the sort in the Federally Administered Tribal Areas (FATA) in Pakistan (at least in recent memory). If one’s AAW threat environment is as docile as it is in Pakistan, then yes, platforms such as the IOMAX Archangel, Embraer A-29 Super Tucano, and even Paramount Group Mwari could be of much higher utility and value than a multi-role fighter jet. Unlike most dedicated attack helicopters, these platforms can drop laser-guided and INS/GPS-guided bombs, making them an asset against fortified positions and other fixed targets (such as ammunition dumps and tunnels). In fact, the rise of lightweight munitions, such as the Small Diameter Bomb (SDB), enable these platforms to carry a larger number of munitions, thereby making them capable of engaging a wider spread of ground targets. If not for attack, these aircraft make for respectable intelligence, surveillance and reconnaissance (ISR) platforms as well. However, there are a number of caveats. If the user is immersed in a mixed scenario, like Pakistan – i.e. split between internal COIN and facing an external state-level threat – then there is a risk in acquiring such platforms. That risk is the lack of long-term utility and being beset by unnecessary costs. Unless you are foreseeing a long-term or perpetual COIN threat (which is also low-risk in terms of AAW) requiring the use of such platforms, then you risk keeping an eventually redundant platform. Furthermore, although the aircraft are cheap to operate in terms of fuel, it is unclear if they are as affordable if one factors in the requirement of importing spare-parts and long-term maintenance support, especially for a quantitatively small light attacker fleet. Pakistan likely prefers to keep using multi-role jet fighters for this reason. Yes, it will be expensive to operate in the short-term, but once the COIN operations end, the fighter aircraft (e.g. F-16) could return to their normal duties. There is no unnecessary cost (besides heavily using the fighters). On the other hand, the counterpoint to that idea is the reality that Pakistan has been immersed in COIN operations for well over 10 years, and its geo-political environment (at least for the short-term) screams of possible insurgencies. However, this does not change the reality that cost is a serious issue for Pakistan. If the need for a dedicated fixed-wing COIN platform were to arise, it would be dealt with by using another platform, one with long-term value in other areas, such as training. In this case, one could see the Pakistan Air Force (PAF) fitting a BRITE Star II FLIR (short for ‘forward-looking infrared’) and laser-designator pod to the K-8 Karakoram, and then fit that with laser-guided bombs, rockets and missiles. Granted, it is not a turboprop, nor is it designed for COIN from the ground-up, but in a low-threat AAW environment, it could potentially get the job done for Pakistan, and for potentially less (in terms of cost) than acquiring a small number of new aircraft from the U.S. or Brazil. That said, one way a turboprop aircraft such as the Super Tucano could make an entry is by being a potential replacement for the T-37. However, even in that case, A-29 would only be a factor by virtue of the PAF operating a large number of the aircraft for training (and likely supporting the maintenance of them domestically). The need for a dedicated COIN platform dwindles further by virtue of the fact that the Pakistan Army’s CAS strategy centers on dedicated attack helicopters. Not only are platforms such as the AH-1F/S Cobra crucial for the Army Aviation Corps’ COIN efforts, but they will likely play a major role in CAS on the Eastern Front as well. With all this in place, where could you possibly fit a dedicated COIN aircraft? And is an armed K-8 too small for such a place? Unlikely. That said, what could work for Pakistan will not necessarily work for other countries. The sum of threats faced by Senegal could be from wildlife poachers, therefore there is no inherent need to raise assets against external state threats. Thus, a platform such as the A-29 or Mwari is sufficient. We will take a look at other cases (possibly including Senegal) later on.